eBay shares were up more than 9% Monday after the hedge fund Elliott Management on Tuesday revealed a $1.4 billion stake, good for more than 4% of the company. Elliott’s stake was revealed in an open letter that recommends a way to create value opportunity at eBay. 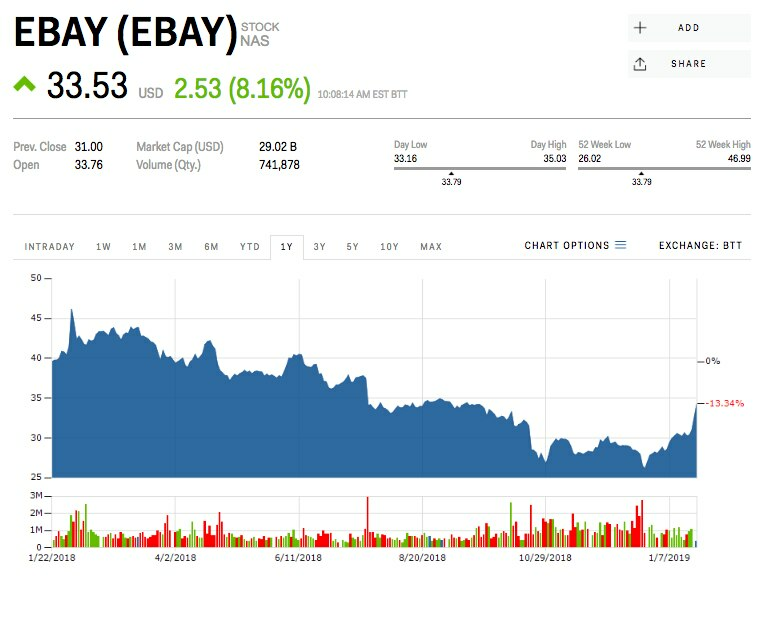 The hedge fund proposed a five-step plan, which it says could value eBay at $55-$63 per share, representing upside of more than 75% to 100% from Tuesday’s price. eBay was surging, up more than 9% Tuesday to $33.81 a share, after billionaire hedge-fund manager Paul Singer’s Elliott Management revealed a $1.4 billion stake in the company. 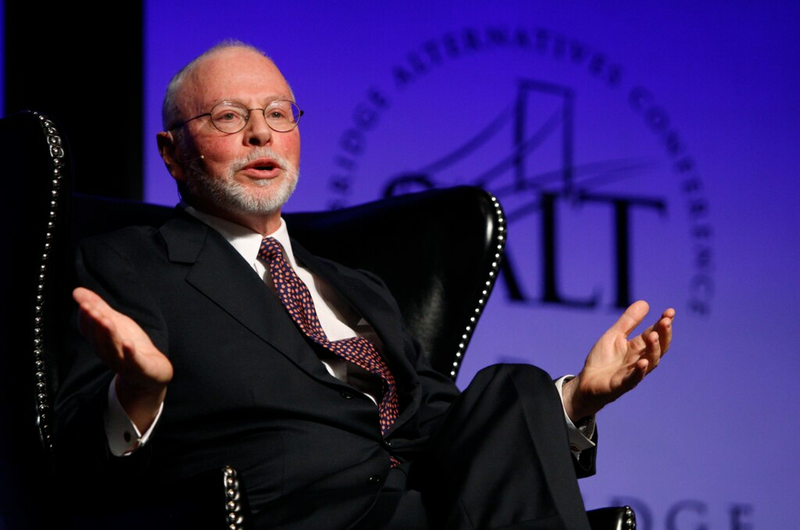 Elliott’s stake, which represents more than 4% of eBay, was revealed in an open letter the hedge fund published Tuesday. In its letter, the fund laid out its view for how to create value at the company. “Elliott believes that by taking steps to unlock strategic value, refocus on the core Marketplace and improve execution – a plan we call “Enhancing eBay” – the Company will grow faster and deliver meaningful operational improvements,” the letter reads. The plan is a five-step solution, which includes a comprehensive portfolio review, marketplace revitalization, margin expansion, as well as revolutions in capital allocation and leadership oversight. “As a more focused and efficiently run business, we believe eBay can achieve a value of $55 to $63+ per share by the end of 2020, representing upside of more than 75% to 100% within the next two years,” Elliott added. eBay was down 13% in the past year.